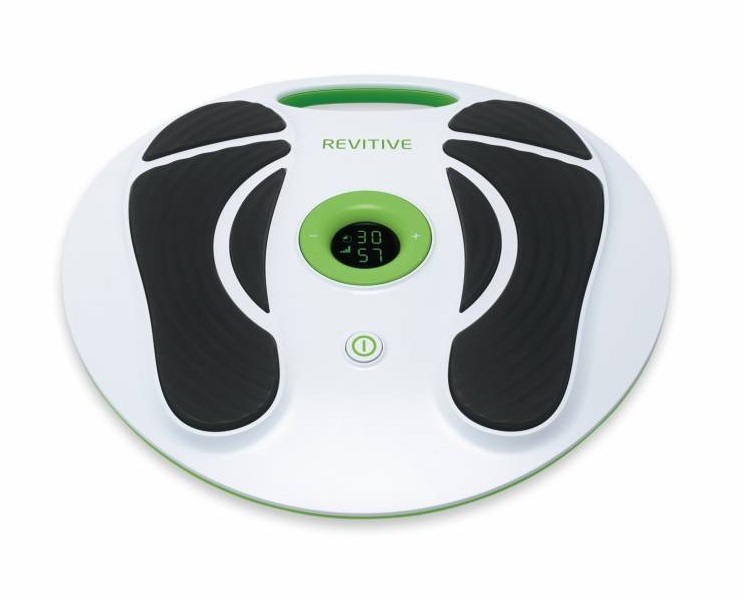 The Revitive Circulation Booster is a medical device which is designed to help increase leg circulation using electrical muscle stimulation to help stimulate the muscles in your lower legs and feet. 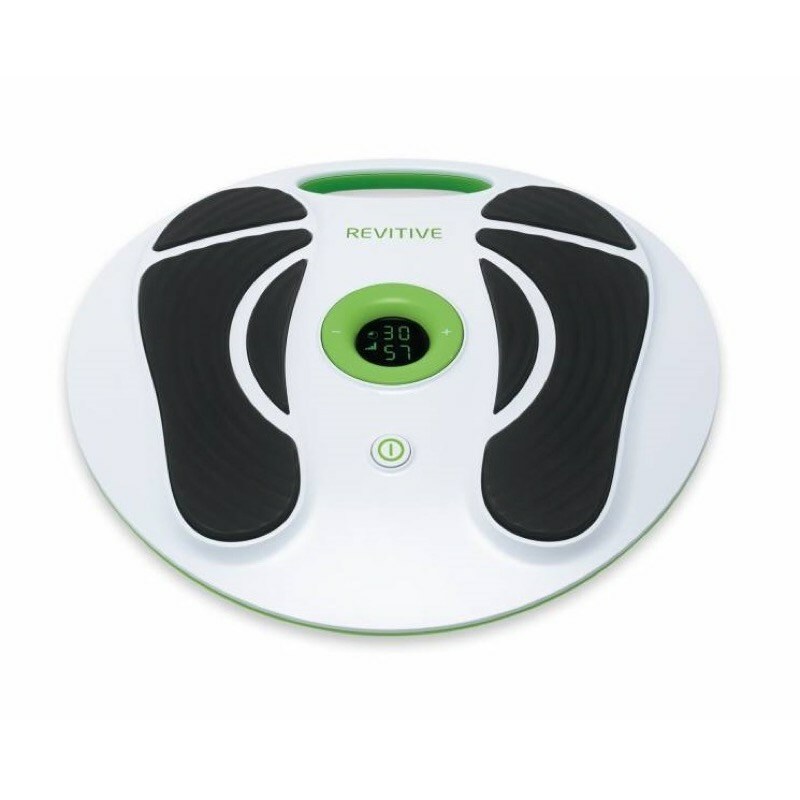 By placing your bare feet on each of the footpads the theraputic electrical impulses help stimulate the nerve endings on the soles of your feet. If you use the Revitive Booster daily you should feel a difference for yourself. Recommended use of 20 to 30 minutes per day. If you are unable to take regular excercise, the leg muscle pumps are less active and blood flow is reduced. There is an intensity level for the feet (levels 1-99) so you can set the booster to a setting you feel comfortable with. You need to have the settings set to a point where you can feel a strong , yet comfortable muscle contraction. This would feel like a tingling sensation or pins and needles sensation.